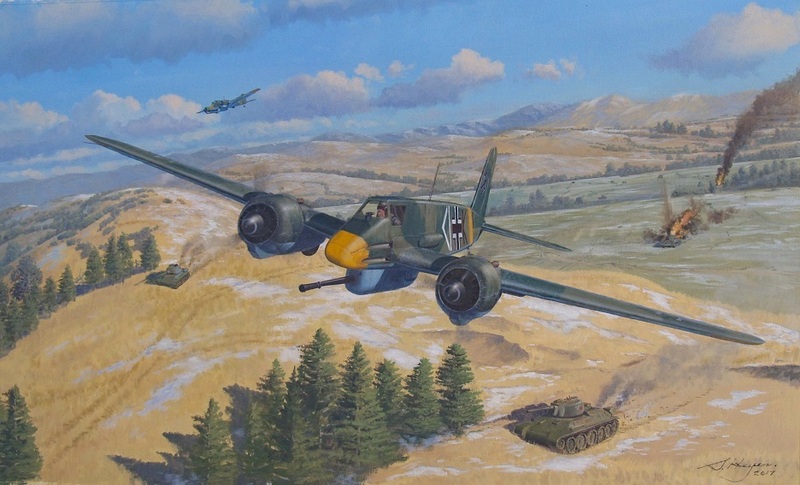 This spectacular original oil on canvas painting is a action packed depiction of a group of Henchel Hs-129 B-3 "Panzerknackers" of Stab IV (Pz)/SG9 knocking out Russian T-34 tanks on the Eastern front during operations in 1944. This version of the Panzerknacker was equipped with the 7.5 cm (2.95 in) semi-automatic Rheinmetall PaK 40 anti-tank gun, which had already been adapted for use in the Junkers Ju 88P-1, would be further modified for use in the Hs 129. 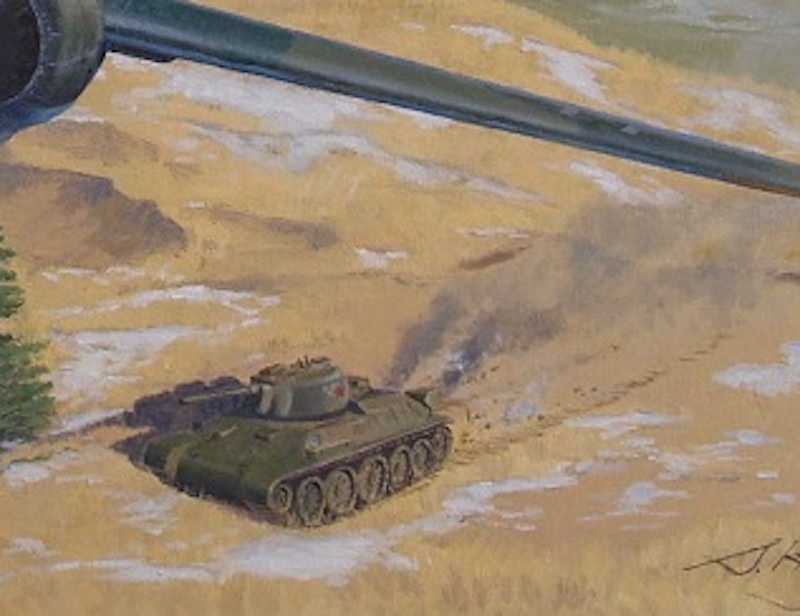 This resulted in the fully automatic BK 7,5 (Bordkanone 7,5), which was lighter than the PaK 40. This anti tank gun had an autoloader system, with 12 rounds in a rotary magazine. The gun and its recoil mechanism occupied a large gun pod under the fuselage. 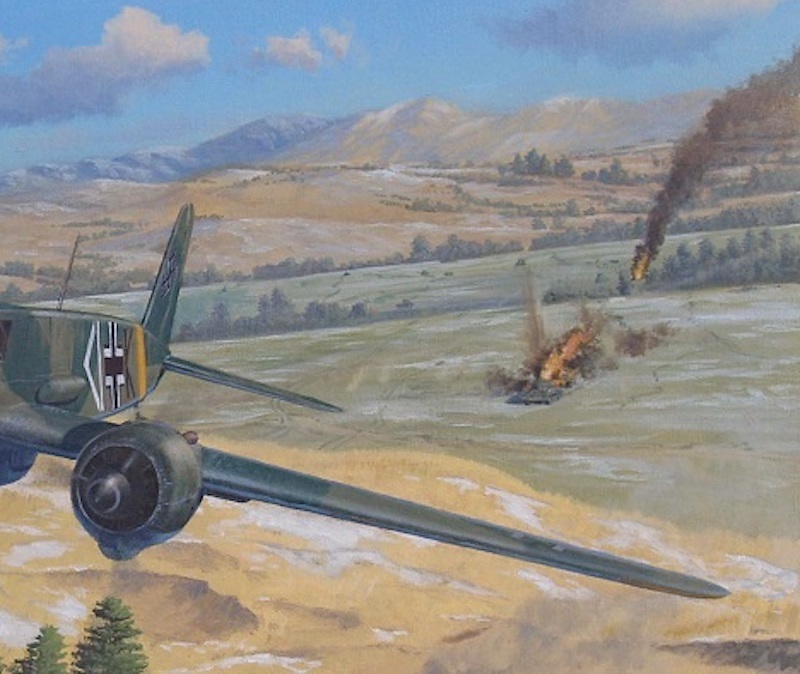 This new variant, the Hs 129 B-3, was capable of destroying any tank in the world. The Bordkanone 7,5 was the most powerful weapon fitted to any production military aircraft during World War II. 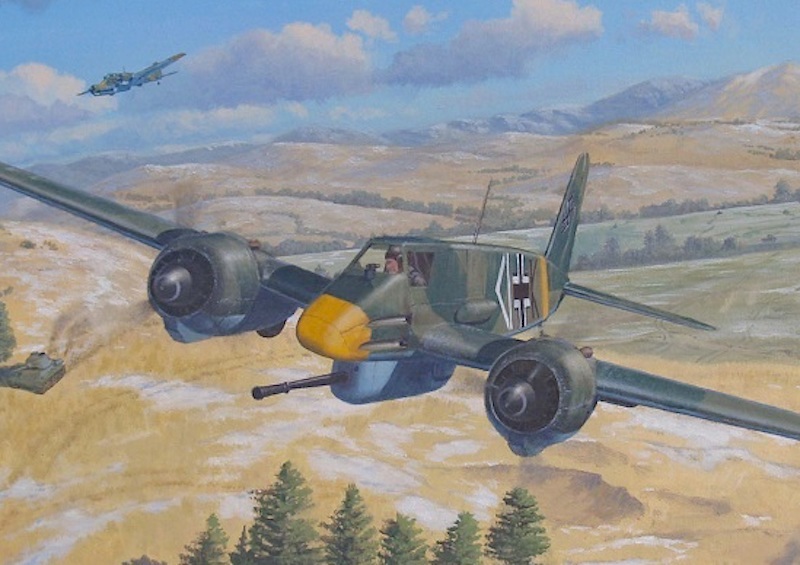 This original aviation art painting would make a fantastic gift for any WW2 Veteran or Veteran's family member, especially for those that flew during the war. This beautiful painting ships rolled in a tube.